“For that reason, if you like dealing with the IRS, you are going to love the President’s plan,” said Pai. He also criticized Wheeler for not making the proposal publicly available on the FCC’s website. guaranteeing a 3-2 vote at the end of this month. The partisan pursuit of adopting this plan has enraged several top-name Democrats who now head the Internet Innovation Alliance, a nonprofit organization aimed towards universal broadband access for Americans. of the group, in a statement following the announcement of Wheeler’s proposal. 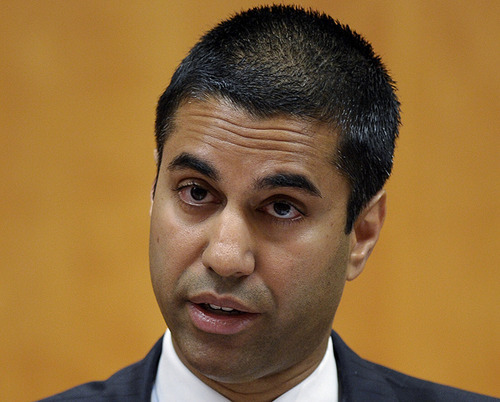 As a member of the FCC commission, Pai sees the plan as especially harmful to the small innovators so often championed by proponents of net neutrality. said Pai. “As a result, Americans will have fewer broadband choices.